Internationally renowned graphic artist KAWS has collaborated with fashion design company Nancy Gonzalez for a line of brand-new themed bags! This new collection of bags features KAWS’s trademark X-eyes as decals on a set of monochromatic-themed tote and crossbody bags. These bags will be released as a set of limited-edition collectibles, and are part of an ongoing series of artist collaborations with Nacny Gonzalez, which includes works from artists like Dr. Lakra, Richard Phillips, Jim Hodges, and more. The bags will be released sometime in 2017 in short supply, so look forward to these brand-new KAWS collectibles! 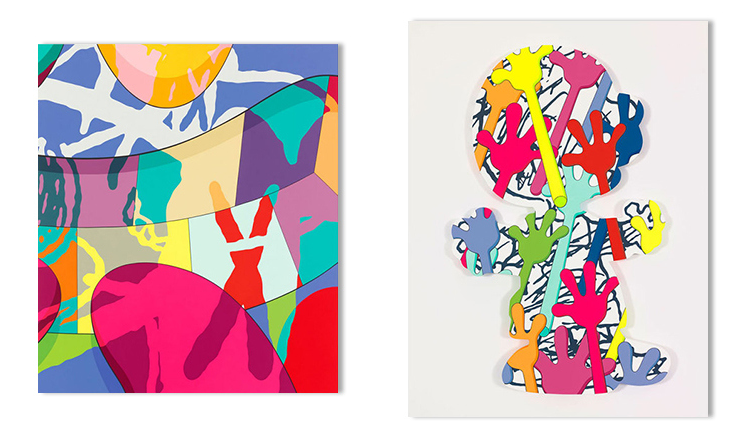 Information about Pharrell Williams’ latest exhibition venture at the Galerie Perrotin in Paris, France was originally released in late April, with news on upcoming collaborations with KAWS, Murakami, and other artists. Now, with the exhibit opening next Tuesday, May 27th, photos of Pharrell’s collaboration with KAWS have finally been revealed! 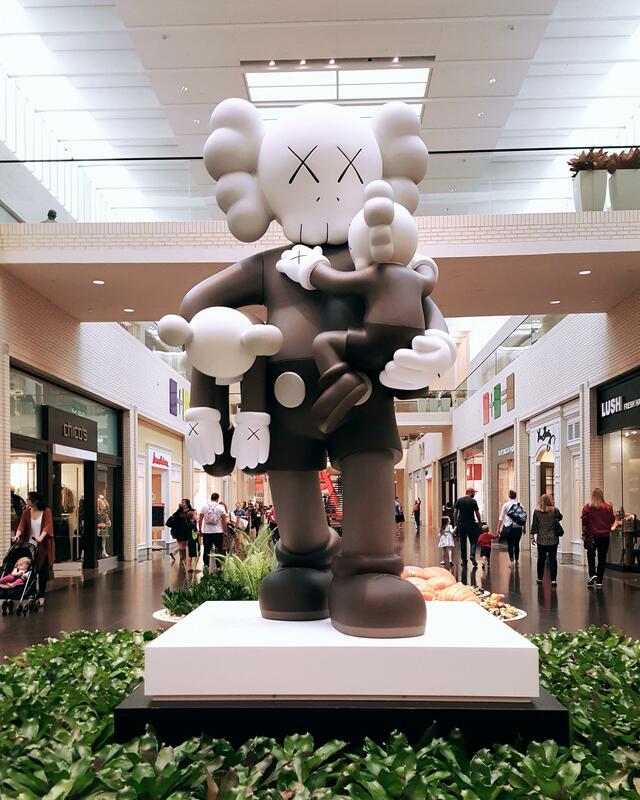 The collaboration itself is themed after Pharrell Williams’ laters album, “G I R L”, and is a joint venture between Pharrell, KAWS, and fashion label Comme des Garçons. This unique fragrance will contain scents of iris, styrax, violet, patchouli, and cedar, and will be made available worldwide in the coming months. Williams’ upcoming exhibit at the Galerie Perrotin, which will remain open from May 27th to June 25th, will be a show dedicated to independent artists all over the world, and will host unique artworks from 34 international artists like Takashi Murakami, KAWS, Marina Abramovic, Andy Warhol, Laurent Grasso, Guerrilla Girls, and more. 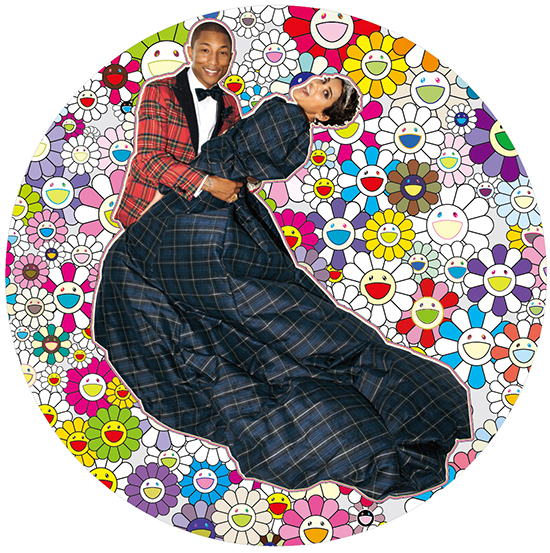 The exhibit, like the perfume, will be themed after Pharrell’s “G I R L” album, standing as a tribute to strong women and love across the world. With his recent music video collaboration with Murakami’s “Jellyfish Eyes” movie alongside the release of his newest album, 2014 is a big year for Pharrell Williams, and more is sure to come in the following months! 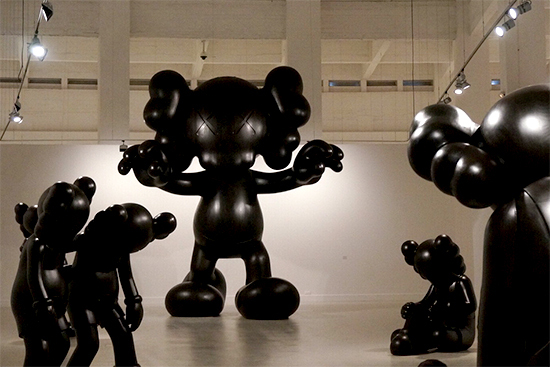 KAWS has been hinting at a new gallery exhibit in Spain for the past couple of weeks, and now this new exhibit has been opened to the public! 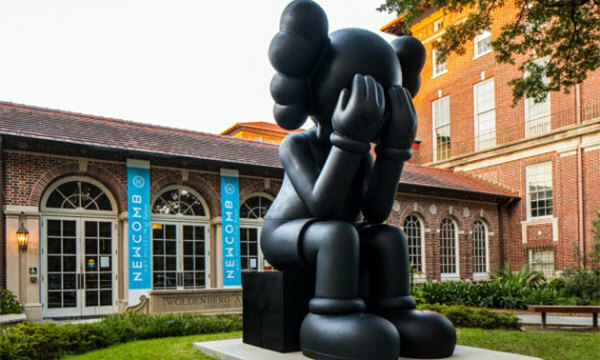 Titled “Final Days”, this exhibit is hosted at the CAC Málaga in the city of Málaga, Spain, and stands as KAWS’ first solo exhibit outside of the United States! 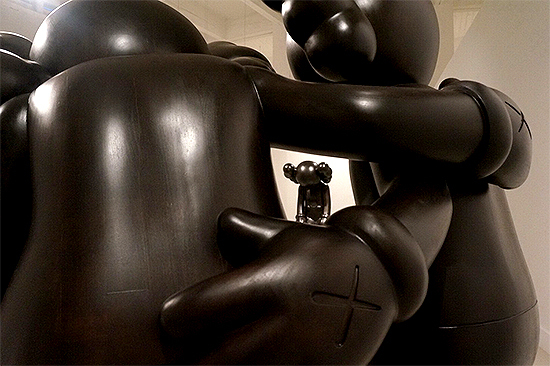 The exhibit, which opened on March 28th, features six of KAWS’ wooden sculptures and large-scale statues, including his iconic Companion, Kurf, and Pinocchio characters standing at nearly 19 feet tall. The exhibit will remain open until June 22nd, and fans should definitely check out this exhibit if they get the chance! The CAC Málaga, or the Center for Contemporary Art in Málaga, was opened in February 2003 as an establishment committed to contemporary art. Aiming to spread art of a wide variety of mediums to the public, the center stands in the heart of Málaga as a crucial aspect of southern Spain’s cultural field, hosting a number of international art shows and exhibits all throughout the year.